Menulog delivers for Eat Cannoli so you'll be able to track your courier on a map. 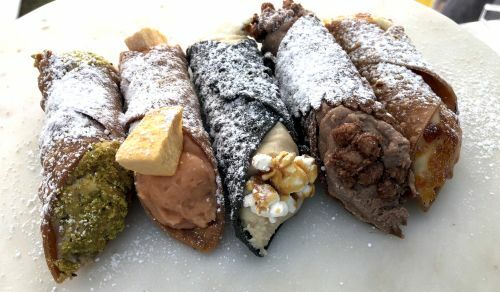 Artisanal gluten free cannoli filled fresh. Ricotta, chocolate chip, orange and hive honey. 100% Australian pistachio nuts and panna cotta. NY style cheesecake and cherry. Orange curd, mango and coconut.